When giving C baths, I've always played it by ear. I've never used a thermometer to test the temperature of the water and I never do the elbow test either. I can usually "just tell". 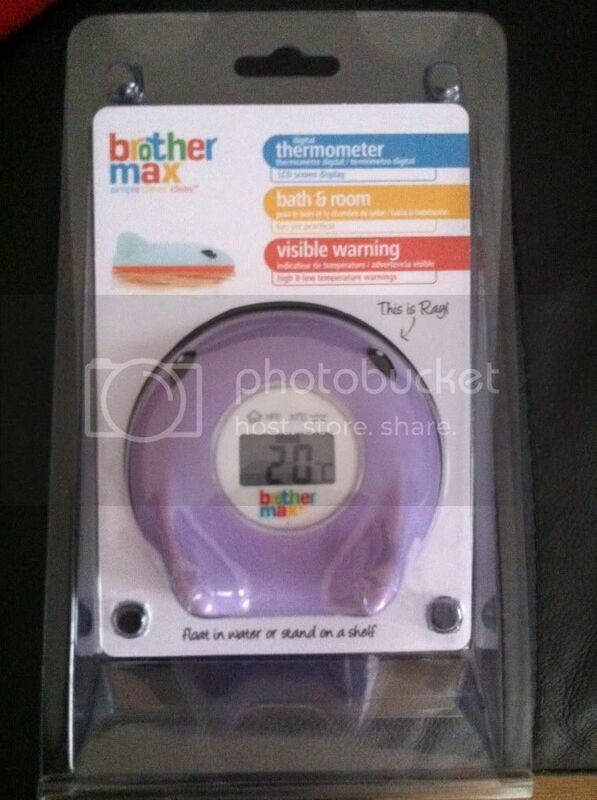 Brother Max very kindly sent us Ray - a very cute bath and room thermometer to review. As soon as I opened it up, C took it off me. Apparently it was his toy to play with (and eat!). First of all, we set it in our room (C still sleeps in with us). We're still using the paper thermometer from the hospital where it has a strip and a box comes up telling you a rough temperature so it isn't practical at all. Ray has an LCD display which gives you and exact temperature. Our room is 19 degrees according to him which is perfect and put our minds at ease. Our next test was in the bath. On the front of Ray there is a little water sign that says "37°" meaning that this is the recommended temperature for bath water. If the water gets too warm (39°+) "HOT" is displayed. This didn't happen in our bath though. I did test it in the sink with hot water and it was displayed so it definitely works. C had fun playing with him in the bath too - he made him attack his toy boat (don't ask!). Running the bath is so much handier with this little device. I don't have to constantly have my hand in debating whether it's too hot or not. I can just leave Ray to work his magic while I get on with getting C undressed. You can find Brother Max at their website, Facebook and Twitter. 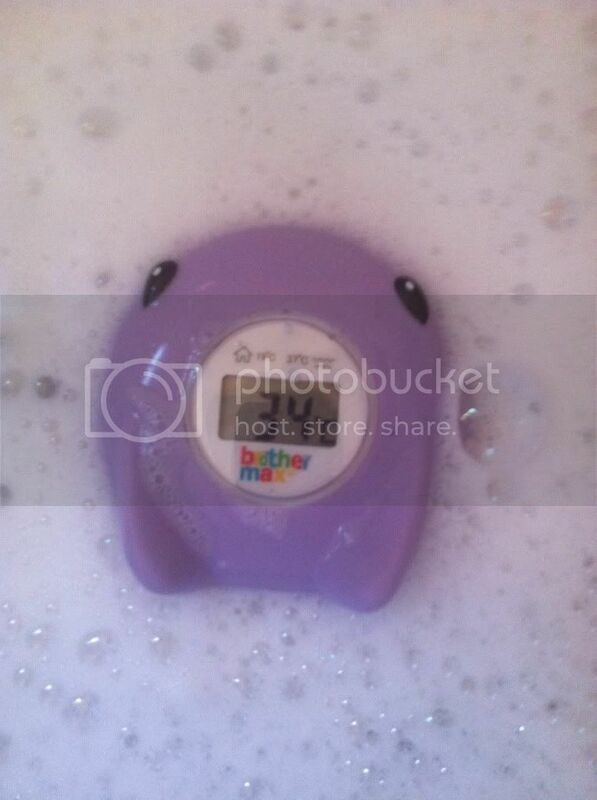 1 comment on "Brother Max Ray Bath and Room Thermometer Review"
This is a good temperature for children. I'm sure they will be having fun while taking a bath.